It’s well to remember the bitter truth behind this joke, especially in light of the recent denial by President Barack Obama that America is at war with Islam. On the contrary: Since September 11, 2001, the United States has been actively at war with Islamics for 14 years. Repeatedly, those who have committed atrocities against Americans have loudly proclaimed Islam as their reason for doing so. Alone among the 2016 candidates for President, Trump has dared to say the unsayable: America is at war with Islam. And he has called on his countrymen to see it–and wage it–as a war. Trump gave his speech on December 7–the day when many older Americans still observe the anniversary of the 1941 Japanese attack on Pearl Harbor. Only five days earlier, two Islamic terrorists had staged the worst Islamic attack on America since 9/11. Using semi-automatic pistols and rifles, they had slaughtered 14 people and injured another 21 at the Inland Regional Center in San Bernardino, California. “Without looking at the various polling data, it is obvious to anybody the hatred is beyond comprehension. Where this hatred comes from and why we will have to determine,” Trump said to his enthusiastic audience in Mount Pleasant, South Carolina. Trump’s Republican competitors in the Presidential race–desperate to overtake him in the polls–quickly attacked him. On December 6 President Barack Obama, speaking from the Oval Office, sought to comfort jittery Americans about the threat they faced from Islamic terrorism. One man who did foresee the present conflicts with stunning clarity–and had the courage to say what has since become Politically Incorrect–was Samuel P. Huntington. A political scientist, Huntington taught government at Harvard University (1950-1959, then at Columbia University (1959-1962). He returned to Harvard in 1963, and remained there until his death in 2008. 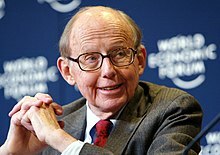 The author of nine books, in 1996 he published his most influential one: The Clash of Civilizations and the Remaking of World Order. Its thesis: In the post-Cold War world, people’s cultural and religious identities would replace nationalistic ones as the primary sources of conflict.